Is Innovation & Standardisation an Oxymoron? I used to be a lead quality auditor while I worked at Novozymes, and that taught me one great lesson: On this planet, there are roughly two kinds of people, when it comes to outlook on quality management systems. Those that hate it, and those who can’t get enough of it. As a manager, I was definitely exposed to both kinds, and it was in the beginning really an uphill battle, since these two camps really hated each others guts. The “hippie” camp (yes, you guessed it – no systems) pledged that any kind of quality management would curb their creativity, hence let’s for all intends and purposes fight this trend, openly or behind the scenes. The “fascist” camp (the quality people) had the point of view that we need everything to be written down, and to have procedures for everything. Obviously (at least to me) none of them were completely right, and none of them were completely wrong; my job was to make the two groups acknowledge the “other” camp’s viewpoint: If everything sails, nothing can be reproduced, and if everything needs to be done according to a Standard Operating Procedure, nothing new gets created. All the published standards may be purchased and downloaded from various European Standard sites, e.g. from Dansk Standard, or from the Dutch Standards site. The standards are in English at both sites, except from the foreword, which is in the national languages. Why are there 500+ Innovation Management Systems out there? When I consult to companies about innovation management, very often the conversation revolves around having an innovation management system, but in a very narrow sense. The sentence “we need a system” more often than not implies a wish for an IT-based system to handle idea management. There are plenty of such systems around, and they are getting fancier every day. Googling “innovation management software” gives 262.000 hits. Capterra has collected a list of idea management software with 83 different packages. And there are much more than the 83 listed by Capterra – my guesstimate is that there are 500+ systems, if we include apps and proprietary systems created by private enterprises. Why are there so many different systems out there? My humble opinion is that it is because they don’t do the job. The IT-based solutions often only solve a small part of the challenge about innovation management, often dealing with collecting and evaluating ideas in the initial phases, but rarely integrating it into the whole business and stakeholder context that innovations are developed within. The European Innovation Standard applies a more nuanced view on innovation management systems, as we will see in the following. 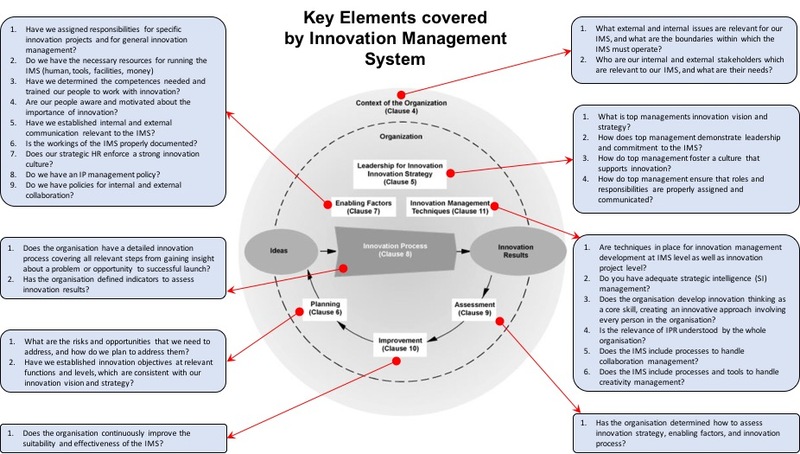 It is obvious from this picture – which is only a summary of all the topics covered in the document – that this description of an Innovation Management System (IMS) is much more far-reaching than the ground covered in even the most sophisticated IT-based system. For innovation to be more succesful, we need to view it as a whole system, and to work with it in a much more structured and tangible way than how we ordinarily do it. I am totally convinced that employing an innovation standard, which captures a lot of what we know works about innovation is a much better way to go than to waste a lot of money on IT systems alone. How can the Best Practices in an Innovation Management Standard be Leveraged? We provide Innovation Training using the European Innovation Standard as a base, and we have also developed an innovation board game, INNOCULTURE, which is mentioned in a separate blog post, and is available in our Methods & Tools section as well. 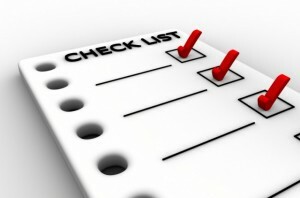 You may also download a free IMS checklist, which is based on the IMS described in the standard.